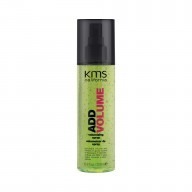 Keep your colour looking vibrant for longer with the KMS Colour Vitality Gift Set. Use the shampoo and conditioner together to seal in colour and restore moisture and radiance to your hair! Containing lactic acid to support reconstruction of your hair fibres and protect your colour from UV filters. Speed your drying time by up to 50% with the ThermaShape blow dry spray that infuse hair with a little extra conditioning. Finish off your look with the Hairplay Texture spray to define and hold your style.